Many future climate scenarios project impacts of climate variability on water quantity and quality. However, these scenarios may not be accurate and do not have flexibility for local and small watershed analyses. They are not able to answer questions such as: what will happen to stream flow, water quality, and water availability for a given local watershed if extreme rainfall events such as very dry summers and wet winters occur in the next ten years? This information is crucial to state and local water resource managers and stakeholders for implementing adaptive management practices on crop and forest lands. Future climate scenario datasets, created by climate models such as general circulation models, have been used in conjunction with watershed models to project future hydrological processes and water quality impacts. However, these datasets are often difficult to downscale spatially and disaggregate temporarily and may not be accurate for watersheds at the state level or finer scales. In this study, we applied the U.S. Environmental Protection Agency’s Climate Assessment Tool to create future climate variability scenarios based on historic measured data for local watersheds. 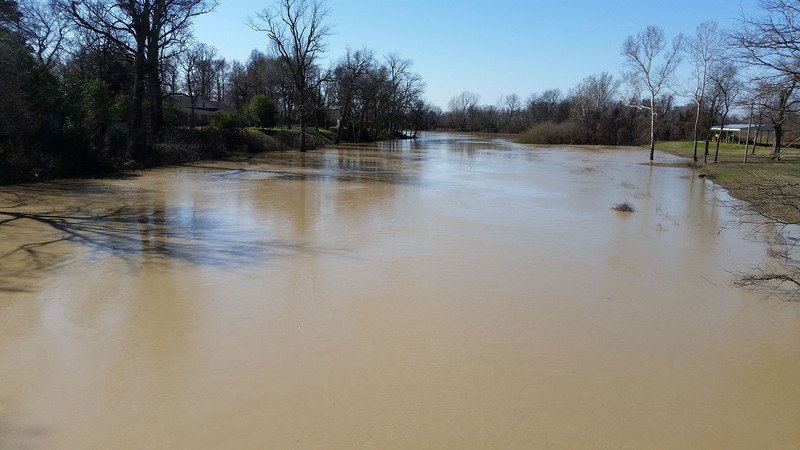 For demonstration, the Climate Assessment Tool was used in conjunction with the Hydrological Simulation Program model to assess the potential impacts of extreme rainfall on nitrate-nitrogen (NO3-N) and orthophosphate (PO4) loads in the Lower Yazoo River Watershed, Mississippi. An extreme summer rainfall scenario was defined as a 10% or greater increase in rainfall. If this event occurred, it could increase the monthly loads of NO3-N and PO4 by 31 and 41%, respectively, during that period. Extreme rainfall events have tremendous impacts on nutrient loads. Our approach and findings are useful to state and local water resource managers, as well as stakeholders, who manage forest and crop lands in Mississippi and around the nation.